Tengami is a relatively unique proposition within the Wii U eShop catalogue, with Nyamyam delivering a slow-paced yet intriguing adventure that's accompanied by a gorgeous David Wise score. It's arguably a rather niche offering, with limited scope offset by a lovely pop-up artbook style and a focus on atmospheric gaming. It certainly has its merits, though we've always been curious as to how it would perform on Wii U, especially as the console version costs more than the iOS equivalent. Speaking at the Develop conference, Nyamyam's Jennifer Schneidereit has provided an update on sales progress. The results below don't include recent PC humble bundle sales, but show that the Wii U has managed to return around 11,000 sales. Schneidereit shared positive - albeit slightly mixed - messages on the Wii U store, also highlighting that she expects a steady accumulation of eShop sales in the coming months and beyond. A lot of developers ask me about the Wii U, whether it's a good platform for independent developers. To be honest, I don't know if it's a good platform for independent developers, but I don't regret releasing on the Wii U. We decided we're going to do a Wii U version, I worked under the assumption it would sell 10,000 copies - it sold a little bit more by now, so that's okay. Speaking to other independent developers, there seems to be a consensus that the average indie game on the eShop has sold 10,000 copies in its lifetime - we've sold 11,000 now, and I think there's more room to grow. I think our lifetime sales will be closer to 20,000 in the end. Overall the game has generated about $1.1 million in gross revenue, with around $650,000 going to platform holders such as Apple and Nintendo. Nyamyam is still deciding on a concept for its next project. Are you a fan of Tengami, or still considering it for the future? Let us know. Good for them. I like to here success stories on the Wii U! Tegami is a game I have been meaning to buy, but then again time ;^^. Anyway, I am glad they doing good . I'm happy it's exceeded their sales expections, that can only be a good thing for all concerned, including ourselves as Wii U owners. Well done! I strongly dislike this game. A beautiful presentation hiding crap Resident Evil 1-style puzzle solving. Total snooze-fest, imo. Those last numbers don't read right to me. For instance, iOS app store takes 30% of revenue. 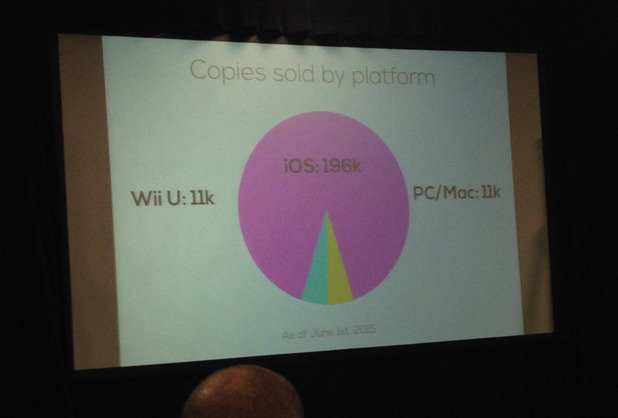 So... how is that with iOS making the most sales by far it comes out to more than half going to platform holders? Something is off, right? Or am I missing something obvious? In all seriousness, you raise a good point. Perhaps a typo? This game was pretty good but needed to be longer. Also I would not recommend buying it on the Wii U as you spend the whole game looking down at and playing it on the game pad. The game looks much more beautiful on the TV and they should have included a control option to let you play whilst looking at the TV, even if it meant not being able to control with the stylus. I enjoyed it on WiiU, it didn't outstay it's welcome, it looked and sounded beautiful. My only criticism would be the price compared to that of the iOS. I can't help think that it might have sold more were the price gap smaller, even if WiiU still cost more. @Kimite 2 hours is all you really need to spend on it to complete it at 100%. It's a neat game! @DarksunRyda I see ^^. Thank for the information . 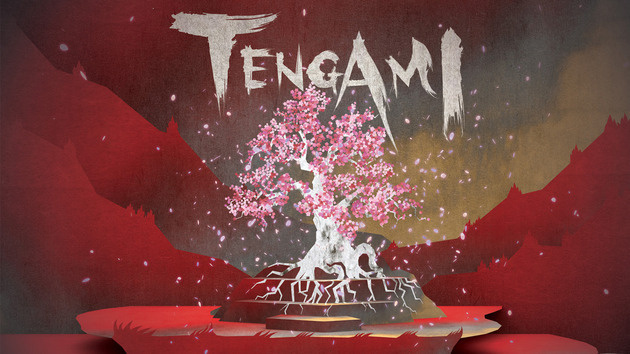 I didn't like Tengami very much. It was maybe an hour and a half of play, nothing that was especially great, way too little content for a $10 asking price, and you have to look at the gamepad the whole time, so the HD on the main screen is wasted. @aaronsullivan - I think it is a cost thing. You make a lot more from $10 downloads then you do free or cheap phone app? Short, sweet and simple like Journey. They got my money day 1. I bought it day of released and liked it. It was a bit short, I feel, for the price. The puzzles were'nt hard for me, but I play a lot of games. $650,000 out of $1.1 million is too much! the developers should get more than the platform holders! @aaronsullivan My question exactly. I don't believe anyone takes more than half, so I don't know why more than half is going to publishers. Does Nintendo really get that much of the revenue? I've been wanting to get this game mainly because David Wise worked on the OST. Probably will get it on sale. @aaronsullivan I think it simply was poorly explained. 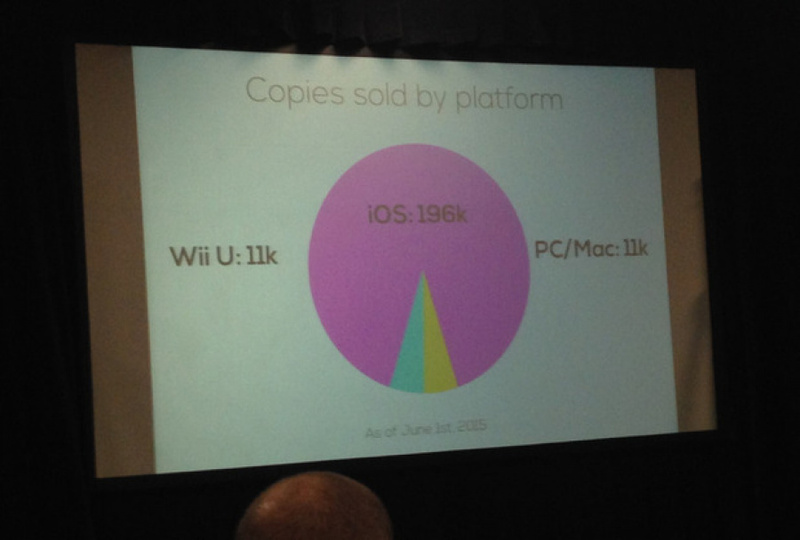 The game generated 1.8, from which a little above 30% (0.65) went to Apple/Nintendo, and the reamining 1.15 going to them. I actually did enjoy this one, so I'm glad that they don't regret it, or whatever. I let my lady play it, since it's so rare that she directly participates, and I rightly assumed that she'd like it. @Kimite Don't worry about time; this is a very short game. 3. Offered a TV option using a Wii Remote to enjoy the visuals off of the GamePad. Is there a reason they couldn't have done this? Seems like a huge missed opportunity. Honestly, I'm surprised they sold as many copies as they did. Good for them but it seems like Wii U (and even Steam) Users got cheated a bit when it comes to pricing. Bought it day one, wished it had Wiimote pointer controls so I could play it on the TV. I agree with you guys that wii mote support would be awesome. Then we could really enjoy the beautiful graphics on the TV. Developer, do you hear us? I regret buying it on Wii U. I had to double check that didn't download a demo after I beat it. Short, no challenge, and little to do. I regret buying it though... glad I got it on sale. Whole thing was slow, boring and easy... and if the guy didn't move at a snail's pace the already short game length would probably have been chopped in half. At least it looked and sounded kinda nice. Wow, you know you have problems when "I don't regret releasing it on the Wii U" is your pull quote... Anyway, between this and Year Walk the best of the Apple store is coming to your Wii U... in a bit. I enjoyed it; it was a relaxing change of pace and looked and sounded amazing. @RennanNT you're probably right. The gross revenue could be calculated after the store took it's share. Which makes sense because they only give you what's left. In fact, that's how I record it for my own records so I was missing something obvious! I did enjoy it, short but sweet. I ended up really disliking this game. The final puzzle, where you have to count hidden symbols, is easily the worst, most unenjoyable puzzle I have ever played in a game. @aaronsullivan the game on ios was only $5 or so while Wii U was $10. Each sale on Wii U netted a larger gross profit. For another qiestion I saw Nintendo and apple take the same royalty on a sale. @Frank-The-Tank This is exactly how I felt. The rest of tue game was like "meh... ok, whatever" but the finale was so obscure, it was enfuriating. I remember seeing this on ios, and it looked cool but the mediocre reviews pushed me away from buying it. Maybe I'll give it a chance later. It's a unique game style, with great visuals and a wonderful soundtrack. I appreciate someone trying something different and what better system for that than Wii U. I do wish more people give it a try.